Ganoderma is a type of mushroom that grows freely on rotting logs and tree stumps. Ganoderma has been used in Traditional Chinese Medicine to treat conditions including fatigue, asthma and coughs. Scientific studies have found evidence for medicinal use of ganoderma, which is also available in powdered form. However, consult your doctor before trying to prevent, treat or cure any condition with ganoderma powder. Scientific evidence suggests that ganoderma powder may be useful as a cancer preventative and treatment. A study published in 2003 in “Food Reviews International” found that mice given ganoderma powder showed signs of suppressed cancerous tumor growth. Also, the ganoderma powder did not interfere with the natural functions of the immune systems of the mice. There is some evidence that ganoderma powder may help treat infectious diseases. A study published in 2005 in “Food Reviews International” found that ganoderma powder decreased the levels of serum hepatitis B virus DNA and hepatitis B antigens, noting an improvement in the condition. Hepatitis B virus DNA hold the genetic blueprint for the virus. The hepatitis B antigen is a protein that flows through the blood while the virus is spreading. Both hepatitis B virus DNA and the hepatitis B antigen serve as indicators of Hepatitis B severity. The participants took 5,400 mf of ganoderma powder for 12 weeks. 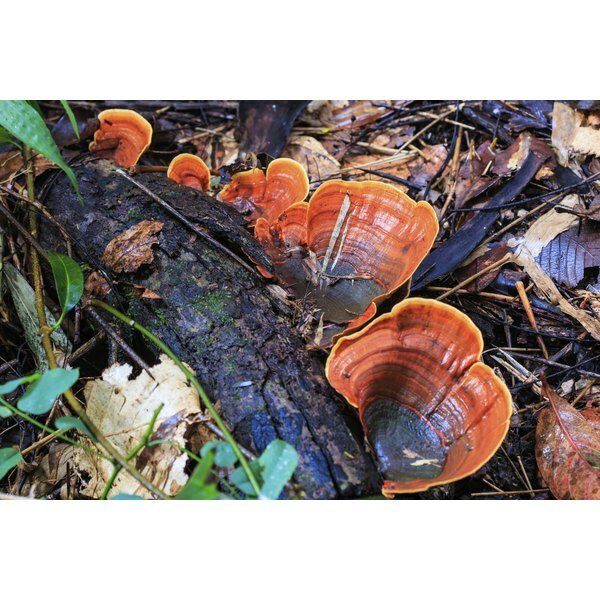 Although there is not enough evidence to support the use of ganoderma powder as an antibiotic, it may be useful in treating viral and bacterial infections, as the researchers explain. There is evidence that ganoderma powder may keep cholesterol levels healthy. Ganoderma was found to lower LDL levels and improve HDL levels in rats in a study published in 2008 in “Nutrition and Food Science.” Both of these outcomes are important factors for reducing the risk for heart disease. LDL is considered the bad cholesterol, and HDL is considered the good cholesterol. Hepatocirrhosis is a condition where liver function is interrupted by causes including the hardening and death of liver cells. Ganoderma powder was found to improve this condition. A study published in 2009 in the “Journal of Anhui Traditional Chinese Medicine College” found that ganoderma powder improved outcomes in rats with clinically induced hepatocirrhosis. Specifically, the gonoderma powder inhibited hepatic fibrosis. Hepatic fibrosis is when too much connective tissue accumulates in the liver. RMIT:“Food Reviews International”:Antimicrobial activity of the medicinal mushroom Ganoderma: 2005: Y. Gao,W. Tang, H. Gao et al. Emerald: “Nutrition and Food Science”: Efficacy of Ganoderma Lucidum on Plasma Lipids and Lipoproteins in Rats Fed With High Cholesterol Diet 2008: Chow-Chin Tong, Yew-Keong Choong, Suhaila Mohamed, et al. CNKI: “Journal of Anhui Traditional Chinese Medicine College”: Intervention Effect of Lucid Ganoderma Spores Power on Hepatocirrhosis Induced by Carbon Tetrachloride in Rats: 2009: Bao-tian Chen, Ya-Qui Long, Hua Li, et al. What Are the Benefits of Rice Protein Powder? Does Whey Protein Cause Inflammation?